Virginia Woolf was a journalist long before she was a novelist. In the 1900s reviewing was her apprenticeship. It brought in extra income but it also connected her to the world of letters and to a readership wider than any she would reach with her fiction. 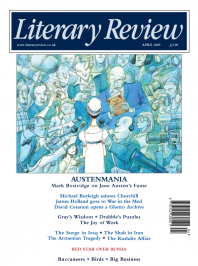 In her twenties Woolf reviewed whatever came to hand and mostly wrote anonymously for the Times Literary Supplement. This fifth volume of her essays finds her, nearly fifty, no longer at the beck and call of editors, a celebrated figure on the literary scene both here and in the US. Orlando, published in 1928, was rapidly becoming a bestseller and a Uniform Edition of her works was in press. Able now to write what she liked, Woolf’s articles range over a huge swathe of English literature: the novel from Defoe to Hardy, poetry from Philip Sidney to Auden, memoirs, journals, letters, marginalia and biographies – all are grist to her mill. Much of the thinking about women and writing, which made its way into A Room of One’s Own in 1929, is aired here, as are her reflections on the art of criticism and the role of the reader. Disparate and various though these pieces originally were, they read seamlessly. It is all pure Woolf, so distinctive is her voice – ironic, cool, conversational and playful, shrewd and fantastical by turns. And you either love her or you hate her.